I nearly forgot about this Vietnam War veteran. But it was a good thing I remembered him. Like those Vietnam War heroes such as Si Robertson, Gustov Havord, and etc, he was famous in his time. 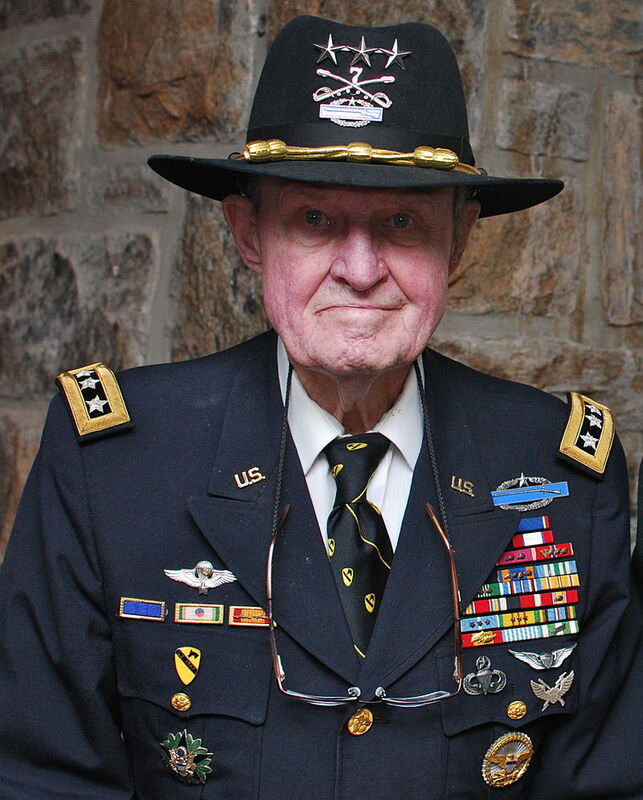 Thanks to the movie “We Were Soldiers”, with Mel Gibson, Sam Elliott and Barry Pepper, based on his novel “We Were Soldiers Once…And Young”, he and reporter Joseph L. Galloway faced the Battle of Ia Drang. One of the most devastating battles in the Vietnam War for four days straight. 500 men of his men went into battle as they faced 2,500 North Vietnamese troops. With massive casualties, he almost lost his entire legion when some were still alive and injured. The injured were bleeding badly, as they got sent to hospitals…stat. He even lost some helicopters there, as well as his best pilots. However he was congratulated for killing over 1,800 North Vietnamese Army and Viet Cong troops, after that massive battle. He was Lt. Col. at that time, before he became Lt. General later on, in his life. And after he wrote his novel, he retired. No longer served in U.S. Army anymore. He then presumably saw that movie with Mel Gibson I believe. He even in fact, met Mel Gibson once or a few times I believe also. Later in his life, as an old man, 3 days before his 95th birthday, he died at 94 years of age on Friday, February 10th, 2017. Died of old age. As dead as Mary Tyler Moore who passed away first in 2017. We’ll never forget him, as well as other Vietnam War heroes who served their country, as they became famous also. Such as Joseph L. Galloway, Oliver Stone, Si Robertson, Gustov Havord, Dale Dye, and R. Lee Ermy, They were Vietnam War heroes too, as well as he was. These are the two islands that appeared in the “Jurassic Park” movies, including The new one “Jurassic World”. 250 miles off the coast of Costa Rica, those are Isla Nublar and Isla Sorna. The first one was where “Jurassic Park” and “Jurassic World” took place, as they had the two major incidents. The second was a hellhole when “The Lost World: Jurassic Park” and “Jurassic Park III” took place there. Between both islands, many men and women perished there. Including the stars we know. Attacked and eaten alive by mostly, T-Rexes, Velociraptors, and a Mosasaurus. Stars such as Samuel L. Jackson, Wayne Knight, Bob Peck, many gunmen armed with machine guns, shotguns and more, and Arliss Howard along with Vincent D’Onofrio since they were in “Full Metal Jacket” together. They all perished there. 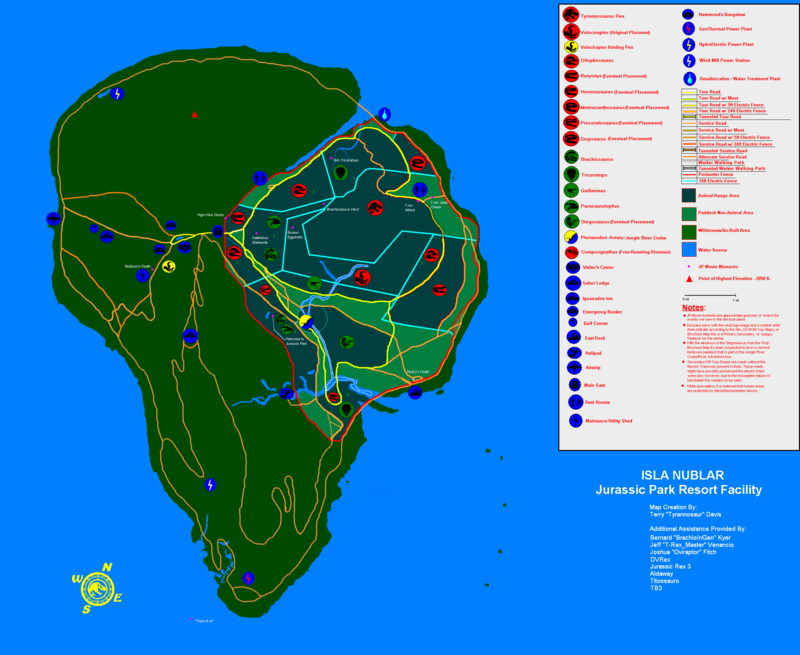 Ever since those four major incidents happened on both islands, it would be a good idea to use nuclear capabilities to wipe out all dinosaur life on those two islands. Like bomb both islands so that they’ll be gone for good. However, that would be a very bad idea. By the American government, it is their proud authority never to strike nuclear capabilities on those Costa Rican islands. Even by the Costa Rican government not to do that too, on their fair islands. Cause if they actually do wipe out those two islands, it could be a bad sign to the hemisphere. And not only that, radiation from nuclear capabilities could mutate those cloned dinosaurs or so. Like make them bigger, devastating, stronger, and more toxic. And ever since those movies became a smash hit on cloned dinosaurs, this are the two fictional islands that took place there. Today, they aren’t real. Cause they were just based on that famous 1990 novel that was made into these motion pictures. Bud Abbott and Lou Costello, not only they faced the Army, Navy, Air Force, aliens or monsters, but went into horse racing. They together, were in horse racing so good, you’ll love it!! In this musical comedy movie, that they are in, a very famous horse passed away. That everyone loved on. From a rich king and her daughter, they loved it more. So when Abbott and Costello as cab drivers, got into finding a new horse, they accidentally stole a racehorse. It’s name was ‘Tea Biscuit’ as it was a fine one to ride that horse. By entering that race, they were able to win $11,000. Not just a bet, but by bringing back that horse to its owner. So they were rich, as they’ll never forget this moment. Along with them in this are Shemp Howard from ‘The Three Stooges’, Cecil Kellaway who was with James Stewart in “Harvey”, and Samuel S. Hinds who was with James Stewart also in “It’s a Wonderful Life”. That Christmas classic. I’m giving this 9/10 stars on this Universal Picture, as they always loved Bud Abbott and Lou Costello. What about horse racing? It can show you a lot of comedy on that, thanks to these two that I thank on.